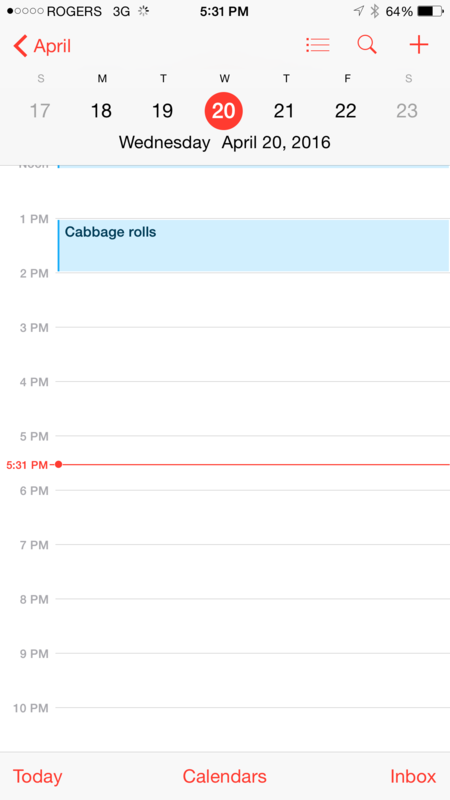 It’s no secret that I have a busy schedule. Just today a friend asked me to have lunch at the last minute and how I wished I could have jumped on that but I apologized and said let’s book a time in advance for next week. So with the Passover holiday approaching, I had to schedule some time in to do some cooking. (Thankfully) I am not hosting a Seder but I do have to prepare my share of dishes. 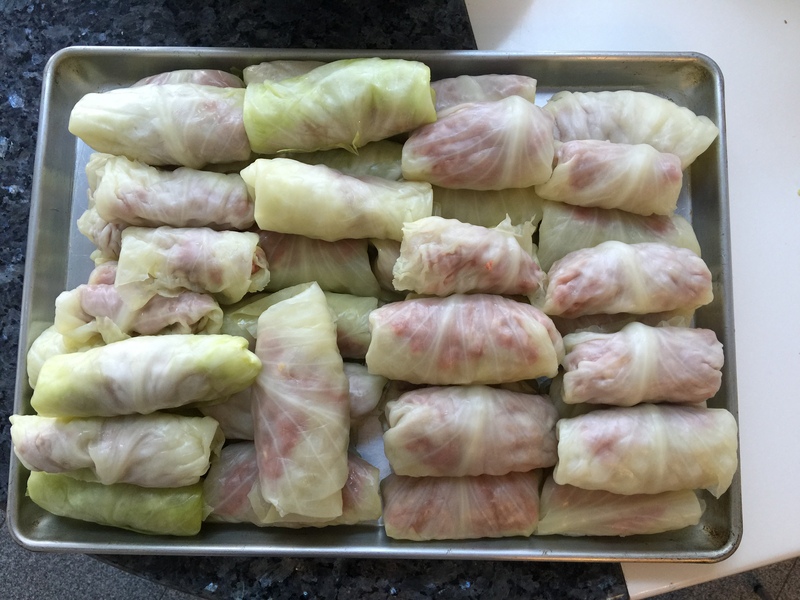 When my mother gave me her usual phone call to discuss her menu, I suggested we make my bubby’s (Jewish word for grandmother) famous “Holishkes” or, Cabbage Rolls. Oh, she said, should we? Absolutely! I told her I was worried about not getting enough practice in making them ourselves and that over time we, or I, might forget. And those holishkes are important to me. So we set a date, in advance, and prepared for the making. 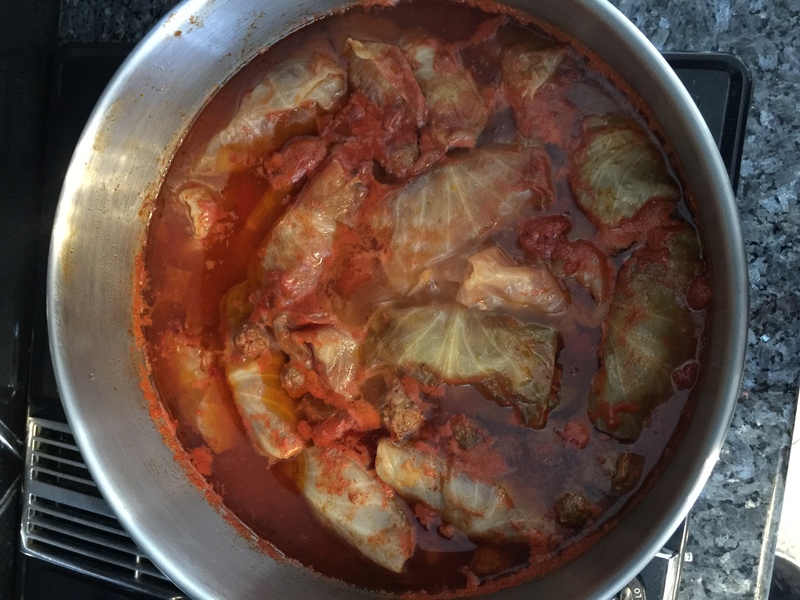 No matter what our faith, we all have certain foods we grew up with that were mostly prepared for festive occasions and these cabbage rolls were one of them and they are loved by all. So much so, that friends of my mother would even request leftovers after the fact. 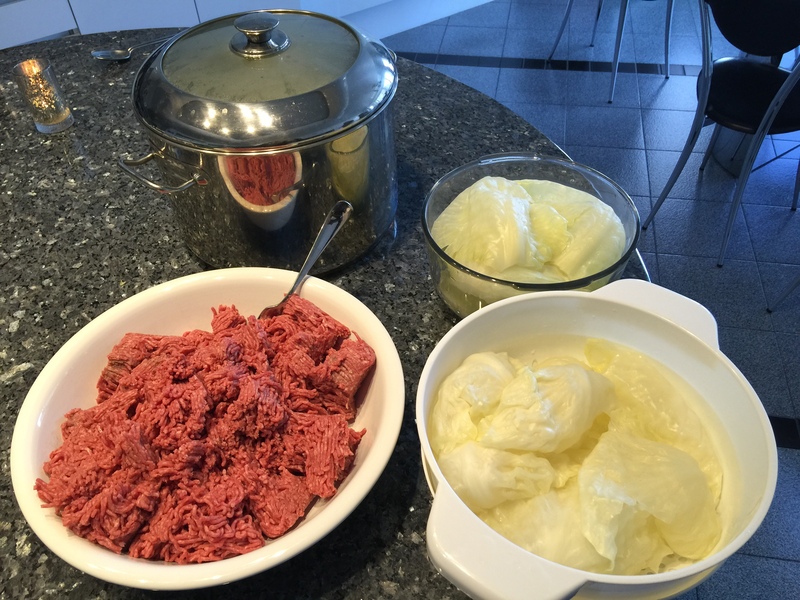 As we stood there prepping the cabbage and the meat I thought of my grandmother and how she used to cook in her little kitchen on Kent Road. How she managed to churn out such delicious food in her tiny space and aluminum pots is something of mystery. My mom and I are so fortunate to have ample space and a big kitchen island to work with. Would our go at this special dish turn out just as good? We have made them a couple of times before, once under the direction of my bubby and once without but since she passed, this was our first time. I know that my mother felt at the same time pride as the two of us sat together at the table rolling the cabbage and sadness, as she missed her mother. While I sat there of course, missing my bubby too, I felt so blessed to be able to carry on this tradition together with my mom and also thankful that I come from a strong line of good cooks! So my mom in her usual fashion, fussed and fretted over each roll wanting to make sure that each fold was perfect. Once they were complete and built into my big stock pot we covered them in sauce, put on the lid and prayed to Bubby Hilda that they will turn out just as good as hers. As I write this, I haven’t yet tried them but the finished product looked and smelled familiar. I know that both my mom and I felt the same once our task was completed. Comforted would be a good word to describe it. 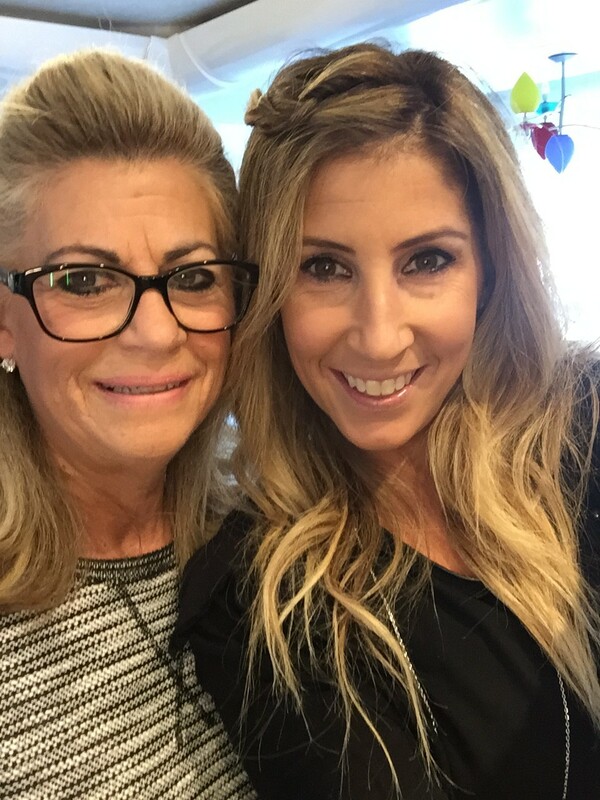 Everyone has their own family rituals and as we age and unfortunately loose some people that become an integral part of these customs, it is up to us to work a bit harder to keep the flame going, even if it means scheduling an appointment to do so. A happy and healthy Passover to all those reading this that celebrate. And to all, I wish you many happy occasions in your future filled with your family’s best kept traditions. Previous articleWin an awesome girls’ night out!